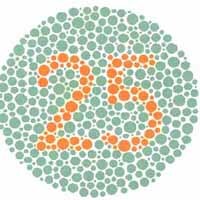 Color blindness comes as a result of a lack of one or more of the types of color receptors. 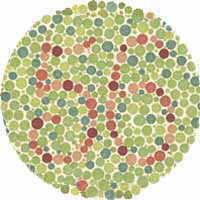 Most color perception defects are for red or green or both. 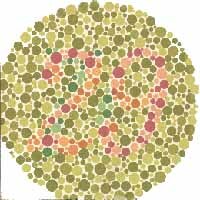 About 10% of males have a color perception defect, but this is rare in females. 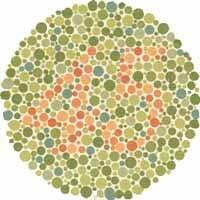 Red-green color blindness is a result of a lack of red receptors. Another form of color blindness -- yellow-blue is the second most common form, but it's extremely rare. 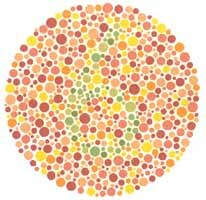 It is also possible to have the color receptors missing entirely, which would result in black and white vision. 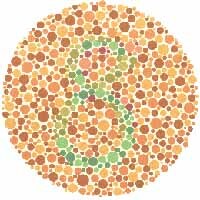 Check for yourself and your children for color perception defects here. What numbers do you see ? If any.